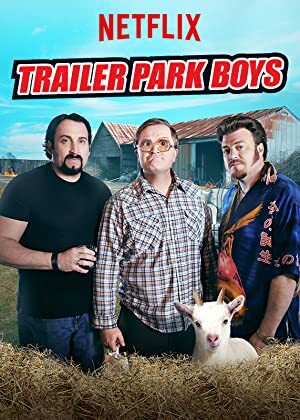 Trailer Park Boys – Season 12 (2018) – What's New on Netflix Canada Today! Three petty felons have a documentary made about their life in a trailer park. Nova Scotia’s trailer parks are colorful thanks to residents Ricky, Bubbles and Julian. Together, they plan mad capers, usually get-rich-quick schemes, with plenty of screw-ups along the way. They’re constantly being hunted by their former trailer park supervisor, Jim Lahey, and his perpetually shirtless, pot-belled assistant, Randy. There are a host of other quirky characters that make up this zany locale of below-income characters in this Canadian mockumentary series that has spawned two feature films.